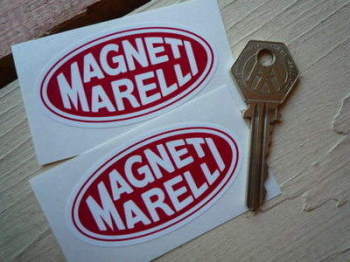 Magneti Marelli - I Say Ding Dong Shop - Buy Stickers, Decals & Unique Automobilia. 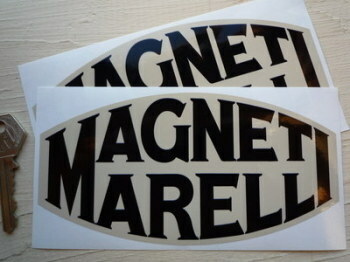 Magneti Marelli Black & Beige Blunted Oval Stickers. 6.5" Pair. Magneti Marelli Black & Clear Oval Stickers. 4" Pair. 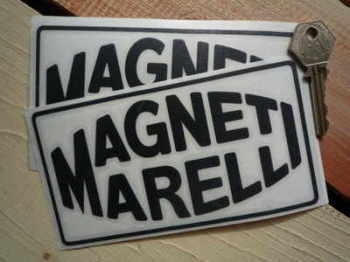 Magneti Marelli Black & White Oval Stickers. 4" or 6" Pair. 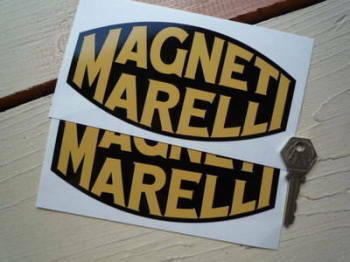 Magneti Marelli Black & Yellow Blunted Oval Stickers. 4" or 6.5" Pair. Magneti Marelli Black & Yellow Oblong Stickers. 6.5" Pair. 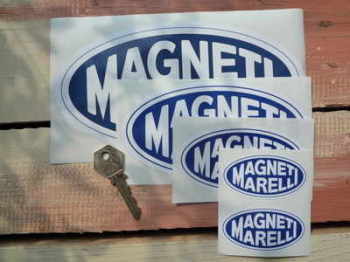 Magneti Marelli Blue & White Oval Stickers. 2.75", 4", 6" or 8" Pair. 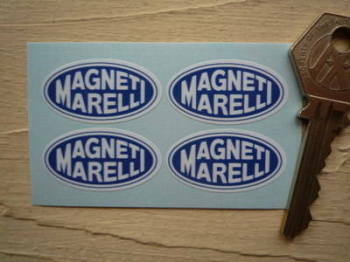 Magneti Marelli Blue & White Oval Stickers. Set of 4. 1.25". Magneti Marelli Candele Tri-Colour Stickers. 3" Pair. Magneti Marelli Competizione Chequered Flag on Cream Stickers. 6" Pair. 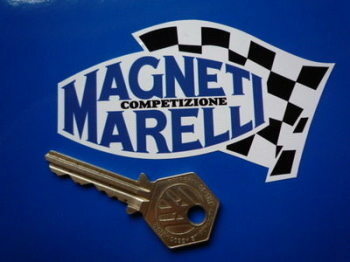 Magneti Marelli Competizione Chequered Flag Stickers. 4", 6" or 8" Pair. 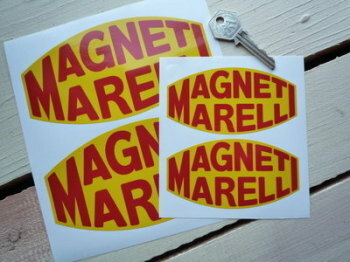 Magneti Marelli Cut Out & Outline Stickers. 6" Pair. Magneti Marelli Cut Vinyl Stickers. 4", 6" or 8" Pair. 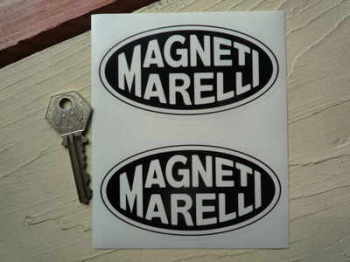 Magneti Marelli Old Serif Style Black or Blue & White Stickers. 6.25" Pair. Magneti Marelli Oval on Oblong Chequered Flag Stickers. 5" Pair. 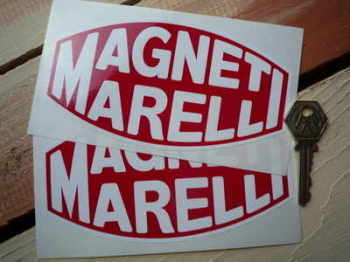 Magneti Marelli Red & White Blunted Oval Stickers. 4" Pair. 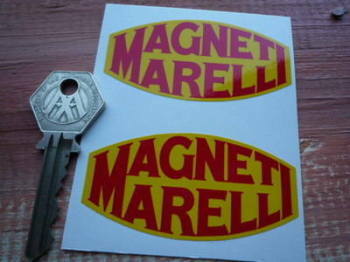 Magneti Marelli Red & White Oval Stickers. 2.75" Pair. Magneti Marelli Spark Plug Style Sticker. 5". 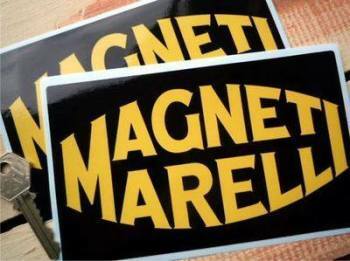 Magneti Marelli Superpotente Black & Gold Sticker. 2.5". 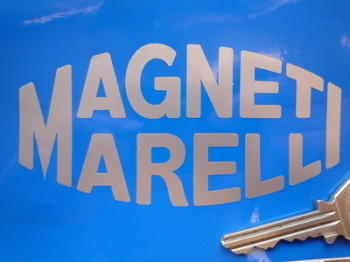 Magneti Marelli Superpotente Foil Style Sticker. 2" or 2.5". 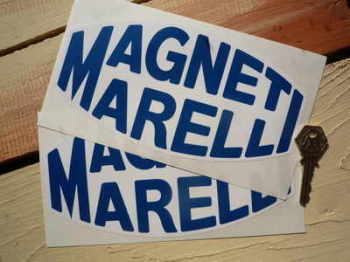 Magneti Marelli White & Blue Blunted Oval Stickers. 4.5" or 8" Pair. 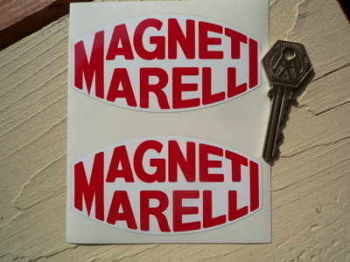 Magneti Marelli White & Red Blunted Oval Stickers. 6" Pair.